In a recent study published in Psychophysiology, researchers examined the performance and neural signals of participants with hangovers. There are many consequences of alcohol intoxication, including impairments in decision making and communication, among other things. Negative consequences of intoxication include drinking and driving, sexual violence, and others. Neural research has looked at event-related potential (ERP) signals in the brain that occur in response to either a reward or a non-reward after the completion of a task. The neural signals elicited from either a reward or non-reward following a task is termed the “reward positivity”. The part of the brain involved in reward positivity may also be involved in establishing long-term goals. There is great interest in how this part of the brain is affected under alcohol intoxication. Indeed, some ERPs are affected when people are intoxicated. Studies have shown that hangover effects on the brain include slower response times, an increased possibility of making mistakes, impacted memory recall, and impaired attention. The part of the brain that is involved with reward positivity is also involved with motor coordination. A recent study, published in the journal Psychophysiology, used reward-based learning as a tool to look at the neural hangover effects from alcohol. For the study, researchers used a reward-based learning task to examine hangover effects. The reward-based learning task they used was a gambling task in which winners would win financial rewards. The gambling task was similar to “a two-armed bandit” scenario. For each trial in the gambling task, any selections made in the tasks, response times and EEG signals were recorded. They used participants who were not impaired and a study group of participants who were experiencing an alcohol hangover. They examined EEG data in the study and used it to specifically measure and observe the reward positivity neural signals, such as the amplitude and magnitude of the signal. They ultimately used 58 undergraduate students for the study. A behavioural task analysis showed that those in the hangover group were inconsistent in their gambling performance and generally performed worse than those who did not have a hangover, who also showed less variability. There seemed to also be a slight association in the severity of the hangover and performance variability. The EEG signal was lower in the reward positivity component of the hangover group, which could be associated with their generally poor performance. In conclusion, general performance in the hangover group was not as good as those who did not have a hangover. The lower amplitude reward positivity signal suggests that hangover effects influence certain segments of the brain, which in this case, would be the part associated with reward positivity. Therefore, alcohol and hangovers effects are both potentially dangerous to general human functionality. 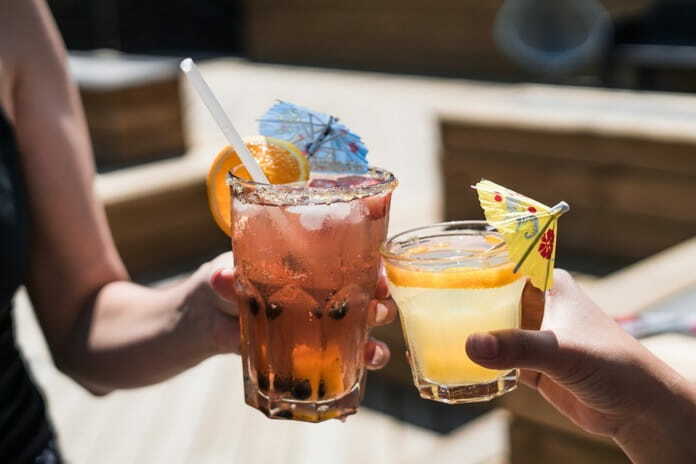 Based on previous studies that are also in line with conclusions drawn from this paper, the evidence suggests that hangover effects also contribute to further impairments, specifically in reward-based learning. Study limitations include the researchers’ inability to know if participants had underlying psychological diagnoses that could affect results. Their participant data also partially depended on self-reporting and the number of participants may have also affected the interpretation of results. The results of this study may have implications in depression when considering the differences in neural signals to a reward between those who are affected by alcohol and those who are not. Future studies could be done looking at the likelihood to continue alcohol consumption because of a blunted neural response from a hangover. Reference: Howse AD, Hassall CD, Williams CC, Hajcak G, Krigolson OE. Alcohol hangover impacts learning and reward processing within the medial-frontal cortex. Psychophysiology.2018. doi: 10.1111/psyp.13081.